This year, production company Tsuburaya is celebrating their 50th year anniversary. With that, here's a video presentation screened last April 12th during the "Ultraman Film Festival" at Aiia Theater in Tokyo's Shibuya Ward. The presentation shows various programs produced by Tsuburaya throughout the years, from Ultra Q to the Ultraman Zero films. Currently the presentation only have Japanese captions, but according to the uploader, they are currently processing English captions. 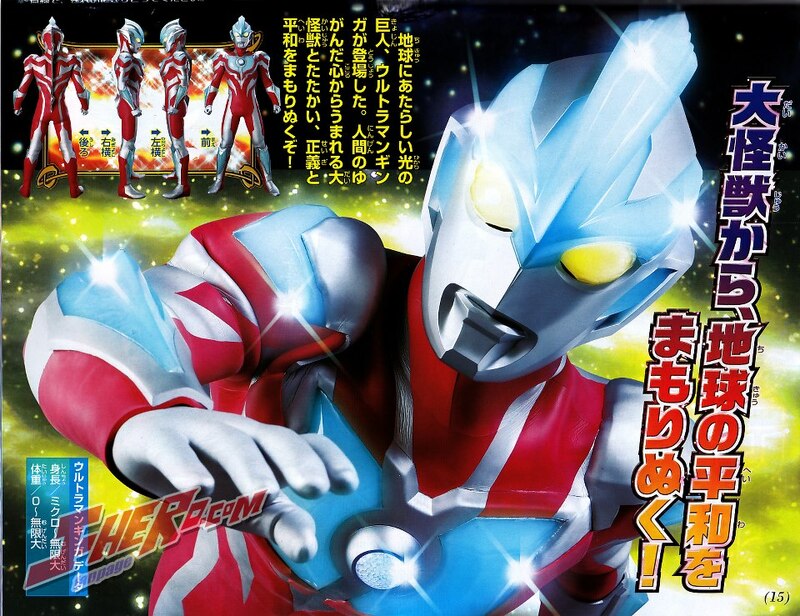 The event also unveiled their new Ultraman hero, Ultraman Ginga, that will premiere this July 10th. Very cool. The Ultraman were really the first toku heroes I heard of back when I was 5. Way before I heard of Super sentai and Kamen rider. They deserve some love. So Toei please do the best thing for the fans and INCLUDE THEM IN NEXT YEARS SUPER HERO TAISEN 2014 FILM!!!!! Look like Ultraman Legend from far. Uh...the Ultraman series is owned by Tsuburaya, which is a different production company from Toei, so that's not possible. P.S:maybe in the future,Tsuburaya and Toei will unite once again and create an crossover with Ultras and Riders and Sentais - still not lost the hopes,friends! I smell another decade and gokaiger from ginga..